Have you gotten your tires rotated recently? If not, schedule an appointment with our Continental Nissan Service Department today! Rotating the tires on your vehicle is important to maintaining even tread wear on your tires and ensuring optimal traction and performance. By not rotating your tires, the tread will wear unevenly causing one or two tires to be in need of replacement before the others. Generally, a vehicle’s tires should be rotated every 5,000 to 8,000 miles. Keep in mind however, that front-wheel drive vehicles will wear mainly on the front tires compared to an all-wheel drive vehicle and will need to have their tires rotated more often. For specific tire rotation schedules for your Nissan, refer to your owner’s manual. 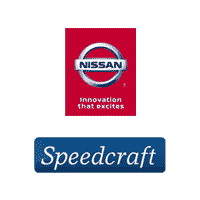 When you come in to get your tires rotated at Speedcraft Nissan, you can also get all of your other regularly schedule maintenance taken care of. Our Nissan Service Express Department can perform your Nissan’s routine oil changes, filter changes, fluid flushes, battery checks, vehicle inspections and more! Call our dealership now to schedule your Nissan tire rotation.